The R&D and pre-marketing approval cost of a typical pharmaceutical drug sits at around $2.6 billion, according to a new study by the Tufts Center for the Study of Drug Development. The study used actual expense data provided by 10 pharmaceutical companies on 106 randomly selected drugs that were first tested in human subjects anywhere in the world from 1995 to 2007. She findings show that drug development costs have increased by %140 (inflation corrected) since the last estimates were made by the same center in 2003. 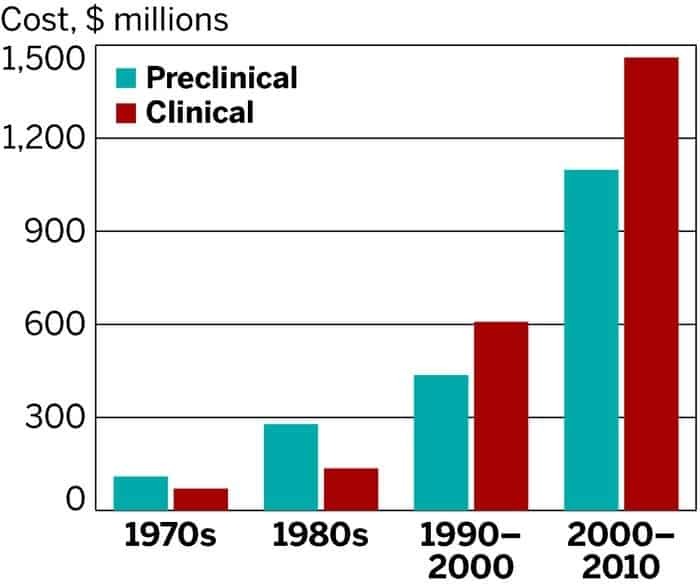 Since the 1970s, R&D efforts by pharmaceutical companies have gone up a couple of notches, but so have the costs. 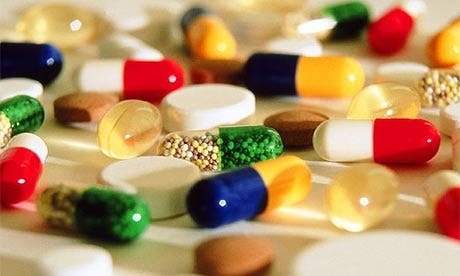 While there have been a lot of developments that helped increase efficiency, these savings have been offset by things like increased complexity of clinical trials, a greater focus on chronic and degenerative diseases and new kinds of regulation that require testing against other drugs. In addition, post-approval R&D (such as tests required by the U.S. Food and Drug Administration to assess safety and long-term side effects in patients) cost $312 million bringing the overall product lifecycle cost per approved drug to $2,870 million. There are a lot of reasons why pharmaceuticals cost so much to put out on the market. A ZME feature post details the process and explains why this is the case. The most costly part lies covering the failed products. The same Tufts Center found that only 21.5 percent of drugs that start phase I trials are eventually approved for marketing. Is the study excuse enough for companies to start rising prices or justify overpriced products already on the market? There’s been a widespread fury against pharma pricing in the past couple of year, particularly in the US where a patient needs to pay $100,000 per year for a typical cancer treatment. Time and time again, lobbyists and representatives have stepped forward to explain that the pricing reflects the cost of developing them, which is very expensive and takes a long period of time, and the value that it can provide.